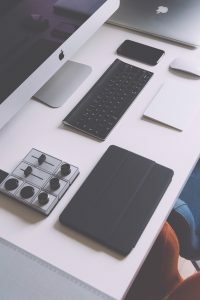 Being passionate about electronics, you are likely to have more than one piece or set of electronics in your household, which is a good thing since you are keeping up with the tendencies of modern technology. Electronics make our lives more interesting and communication much easier, but when it comes to moving house, your main goal is to learn how to keep your treasured and expensive gadgets safe throughout the move. Failing to take necessary precautions while packing and moving electronics may lead to some serious damage to your precious gadgets. Handheld devices like video cameras, phones and tablets should be kept in their original cases and transported with you. – Plan where your electronics will be placed in your new house. Take measurements of large electronics and check whether your new home can accommodate them. – Get proper packing material and moving supplies. Original packaging is usually the safest packing material for your electronics. If you have saved the original packaging you won’t have to spend extra money on packing supplies and special moving boxes and you can rest assured that your items are fully protected. – If you are not sure as to how to pack your electronics consult manufacturer’s manual that will lead your through the packing process step by step. If you don’t have the manual, try to find instructions online or in a local electronics store. – Electronics are usually very fragile and sensitive, so make sure you use enough bubble wrap, cushioning material, packing paper,…Also, avoid using newspaper to pack your delicate electronics. For additional protection you can use moving pads, blankets and old linens or any other soft material that you already have at home. You can get specialty moving boxes from your NYC movers. – Take photos of the electronics before you unplug or disassemble them, so that you can easily install them at your new place. You can also mark each cord with different colors, so that you won’t waste your precious time trying to find where each of them belongs. – When you finish packing, make sure each box is properly sealed with the packing tape. Label each box according to the content and make an inventory of each of them. An efficient floor plan and good labeling system will help your movers and helpers figure out where each of the moving boxes belongs. – Professional movers and packers have more experience when it comes to handling delicate electronics. Not only will they transport your belongings, but also they will disassemble and install all electronics at your new place. – Whether your electronics are going to be moved or stored make sure they are properly insured. Before you decide to buy an additional insurance check if your homeowner’s insurance covers your valuable electronics. – Before you pack your computer make sure all important information are safeguarded. Back up all important data on an external drive just in case. You don’t want to leave to chance the outcome of your household move. – Be careful while unpacking moving boxes. Unpack electronics in the rooms they are supposed to be installed. Find all components associated with the device, small pieces, cables, screws before you reinstall and connect them. Unpack one device at a time and then make sure everything works properly.